The Hilo event will run from 9 a.m. to noon at the Subaru Telescope Office in Hilo at 650 North Aohoku Place. The Waimea event will be held from 3:30 p.m. to 5 p.m. at the W.M. Keck Hualalai Learning Theatre at 65-1120 Mamalahoa Highway. The public is invited to attend. View event poster here. The Hilo symposia will include Akamai student interns working at the Institute for Astronomy, Subaru Telescope, Gemini Observatory and Smithsonian Submillimeter Array. The Waimea event will feature interns representing the Canada-France Telescope, W.M. Keck Observatory and Natural Energy Laboratory of Hawaii Authority. Similar student symposiums are also scheduled on Maui and in Pasadena, California. The event is open to the public, but an online RSVP is requested at http://tinyurl.com/AkamaiRSVP2017. The Akamai Workforce Initiative is in its 15th year in providing college students with summer projects at observatories and other high tech companies in Hawaii. The goal of the program is to advance Hawaii college students in science, technology, engineering and math (STEM) workforce and increase underrepresented groups. Twenty-nine interns participated in this year’s program. Each student is matched with a mentor and is integrated as a member of the mentor's group with daily guidance. Akamai mentors are prepared to provide an experience that will support their intern’s persistence in STEM, while they complete a real project valued by their host organization, through a unique mentor workshop offered in May. The careful attention to mentoring, the preparatory course, and an ongoing communication course, are all important elements of the program and have been key to the program’s success. 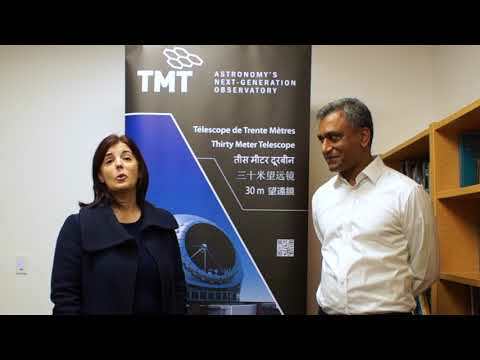 The Thirty Meter Telescope International Observatory has become Akamai’s cornerstone supporter, and continues as the program’s largest funding source in 2017. This year, funding is also provided by the Air Force Office of Scientific Research, Daniel K. Inouye Solar Telescope, National Solar Observatory, Hawaii STEM Learning Partnership at Hawaii Community Foundation (with support from multiple sources, including the THINK Fund and the Maunakea Fund), and the National Science Foundation. Akamai is managed by the Institute for Scientist & Engineer Educators at University of California, Santa Cruz.